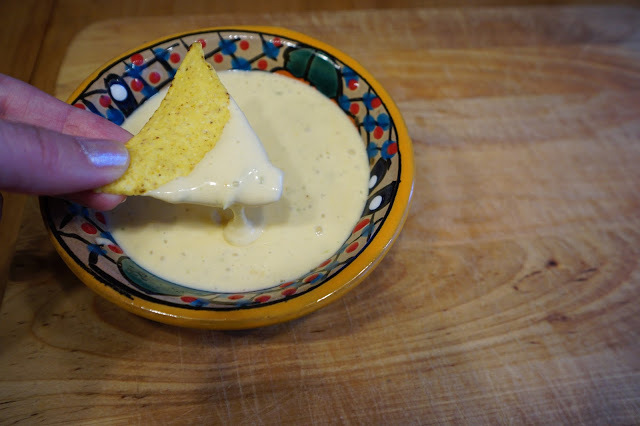 One of the snacks I miss most while living abroad is Queso (cheese dip). Anytime we had a party back home there was a guarantee that cheese dip was made. We usually made it with onions sauted in butter, then added in a can of rotel tomatoes, and velveeta cheese. It was also something I loved to order from restaurants, but a restaurant never uses velveeta cheese. In the last month Danish grocery stores finally started to carry monterey jack cheese at the stores. This cheese was unavailable here before, and guess what? It is great for making cheese dip. So I developed my own recipe with the ingredients I have access to here, and it turned out to be pretty delicious. I made a video on how I make queso dip without velveeta which you can see below. Melt butter in a pan, and saute chopped onions, jalapeno, and chili pepper. Add whipping cream to the pan, and bring it to a boil. Lower the heat, and add in the monterey jack cheese. Stir until melted. Add in the american cheese. Stir until melted. 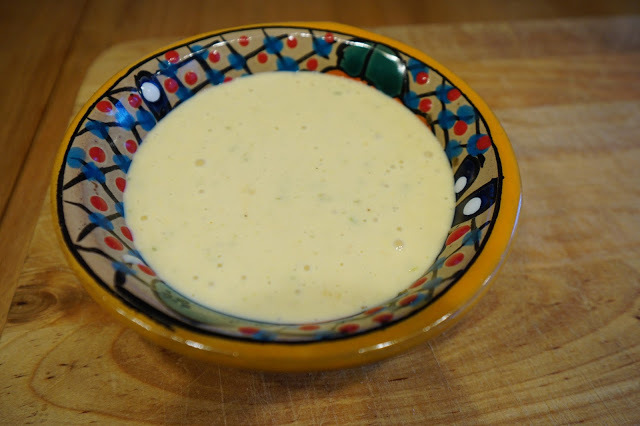 Serve as is, or for a more creamy queso, add the cheese dip to a food chopper and blend until smooth. I am pretty sure you could omit the american cheese, and add an additional 1/2 cup monterey jack cheese instead making a white queso dip, but I haven't tried this. The great thing about monterey jack cheese is that it does not become grainy and stays smooth. If you want to make larger quantities, then double the recipe, but be careful about doubling the peppers. You could always saute the peppers whole, remove them from the pan, and add them in a little at a time, until you think it's spicy enough.